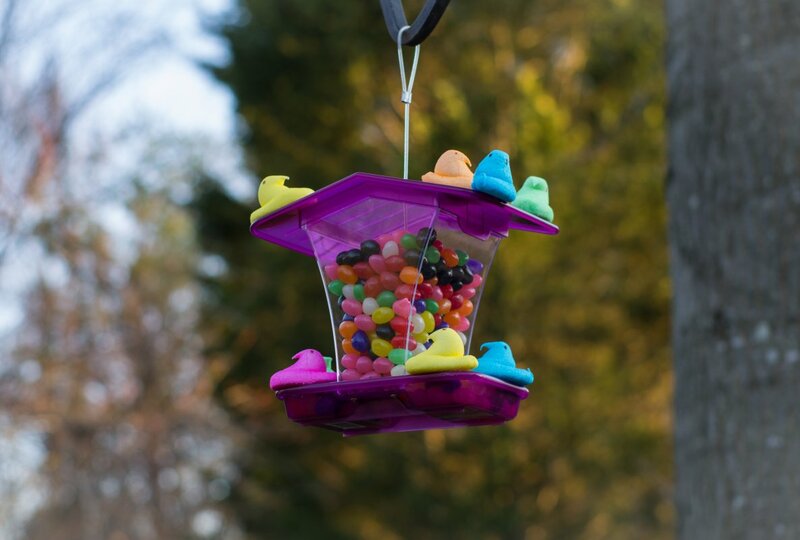 I put some jellybeans into the bird feeder and amazingly attracted a unique species. Happy Easter everybody! Too funny. A lovely flock of peeps! Thanks, Susan. I cannot say that "no animals were harmed during this shoot"! Very good... made me smile, first time today, so thanks for that. You are welcome! Exactly what I wanted to do! OK if I can be Big Bird for a few Minutes?